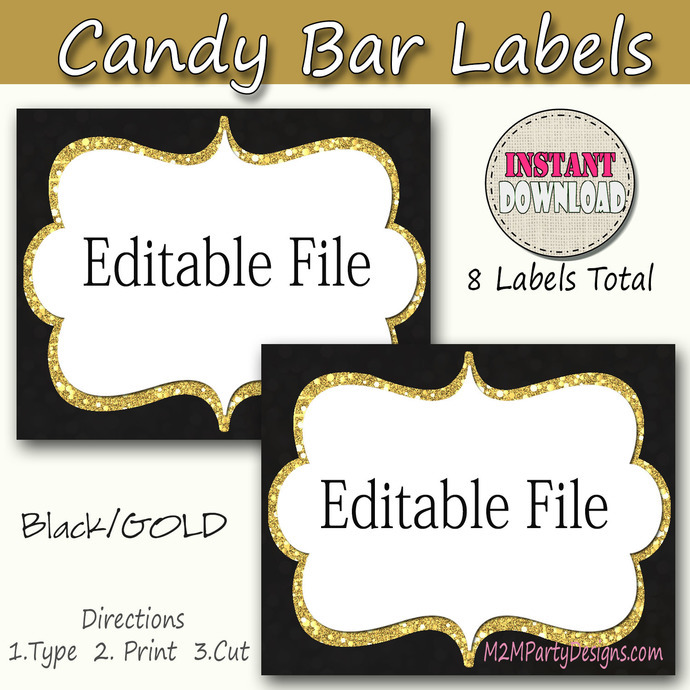 These Candy Labels are perfect for your next party. 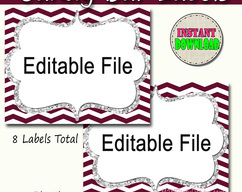 *You get 8 lables on one EDITABLE PowerPoint sheets as shown in the first picture so you can type or hand print if you would like. 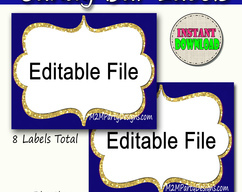 *You also get the JPEG FILE so you can type on top of it using Word. 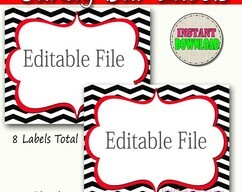 You do not need to download abode, just insert the jpeg into a Word Document and add a text box on top of the picture. You are done! 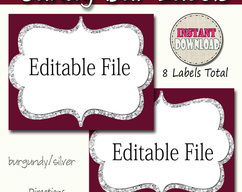 *You can print on 8.5" x 11" labels and cut out, or on 8.5" x 11" card stock then cut out. Need more or or a different style? Email me for a custom listing! If you would like some stickers or water bottle labels, I can put a custom order for you. Simply send me an email with your request. 2. Digital File will be automatically sent after payment is received.